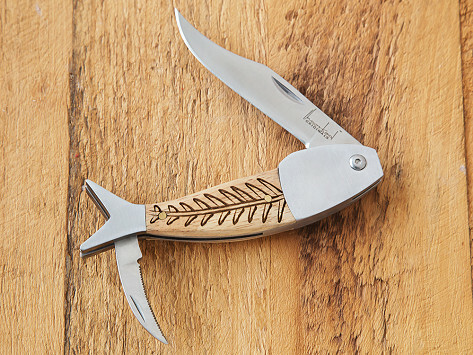 Tough German steel and rustic white oak combine to create a pocket knife that is equal parts useful and beautiful. 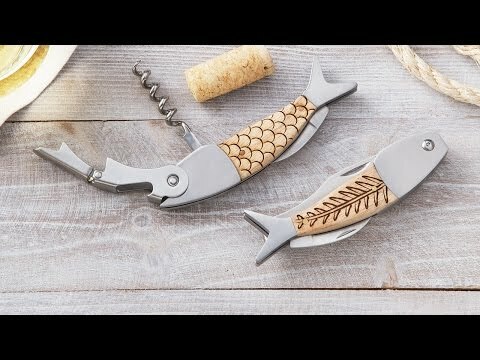 The handle features a fish-inspired design etched by hand on the Florida coast. The finished result is a distinctive, durably-built knife that is guaranteed to last a lifetime, too.